The construction of the 27-km. Cavite segment of the 45-km. 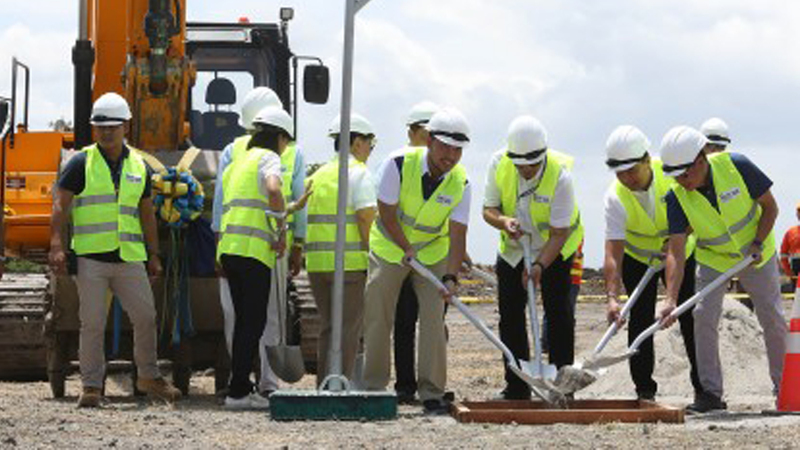 Cavite-Laguna Expressway (CALAEX) began after the groundbreaking at Alapan II-B village here Wednesday. Envisioned as the “most advanced” expressway in the country, the Cavite segment, with an estimated project cost of PHP12 billion, will ensure a safe, efficient and seamless travel for motorists from Kawit town (in Cavite) to the South Luzon Expressway (SLEX) – Mamplasan Interchange. It is expected to cut travel time from 2.5 hours to less than 45 minutes and help decongest approximately 50,000 cars. At the groundbreaking ceremony, Public Works Secretary Mark Villar said the project is part of the Duterte administration’s masterplan to connect Luzon from north to south, to be called the “Luzon Spine Expressway Network” (LSEN), to increase the current 300-km. high-speed expressway to 1,000 km. by 2022, the end of President Rodrigo R. Duterte’s term. “We will deliver not just on our promise to solve traffic, but to bring development to our provinces,” Villar said. The high-speed expressways are not just expected to reduce travel time but, once completed, create a new period of development for the provinces of Cavite and Laguna. Cavite is now the biggest in terms of population among the country’s provinces, with an estimated 4.1 million people, 2016 data from the Philippine Statistics Authority show. As Region 4-A (Calabarzon) now accounts for almost 20 percent of the country’s Gross Domestic Product (GDP), the most productive region. Cavite Governor Remulla said this “speaks volumes about the dynamism of the government and its private partner.” He said the expressway will connect Laguna and Cavite, and declog the South Luzon Expressway (SLEX). The Laguna segment of the CALAEX project is now in full swing which, according to Metro Pacific Tollways Corp. (MPTC) president and Chief Executive Officer, Rodrigo Franco, is expected to open the first section during the third quarter or as early as July this year. “In two years’ time, we hope the province of Cavite will have a brand new expressway that will connect the existing Cavite Expressway, which is also operated by the Metro Pacific Group,” Franco added. CALAEX will employ some 1,200 personnel for its Laguna segment and close to 1,300 more for site & office personnel as its Cavite segment progresses. It is part of the network of toll roads that the MPTC is constructing and developing, which will connect to Cavitex and the C5-South Link and will make transfers from Laguna, Cavite, Las Piñas, Parañaque, and CP Garcia Ave. seamless.